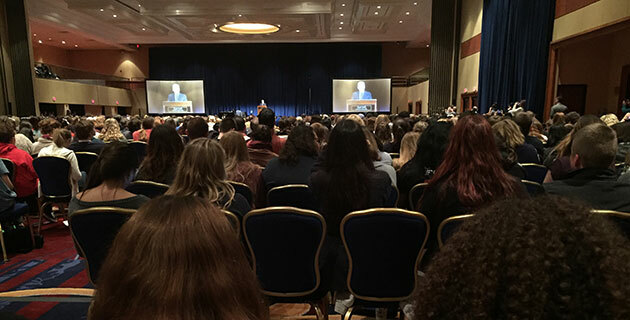 Journalist Bob Woodward speaks to a packed room at the opening keynote of the 2014 National High School Journalism Convention in Washington DC Nov. 7, 2014, at the Wardman Park. The 2014 Fall National High School Journalism Convention was held in Washington DC Nov. 6-9. In addition to some great individual sessions and keynoters Bob Woodward and Jay Harris, some awards were given out at the convention. Here are some of the digital media awards that were presented at the conference.